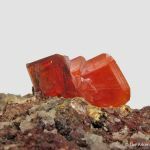 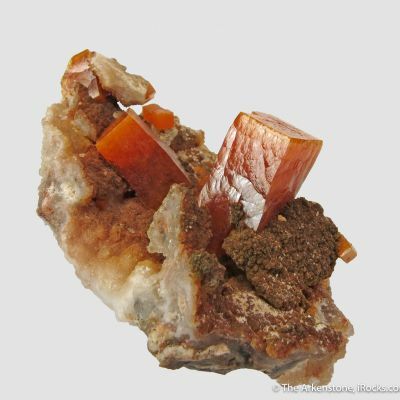 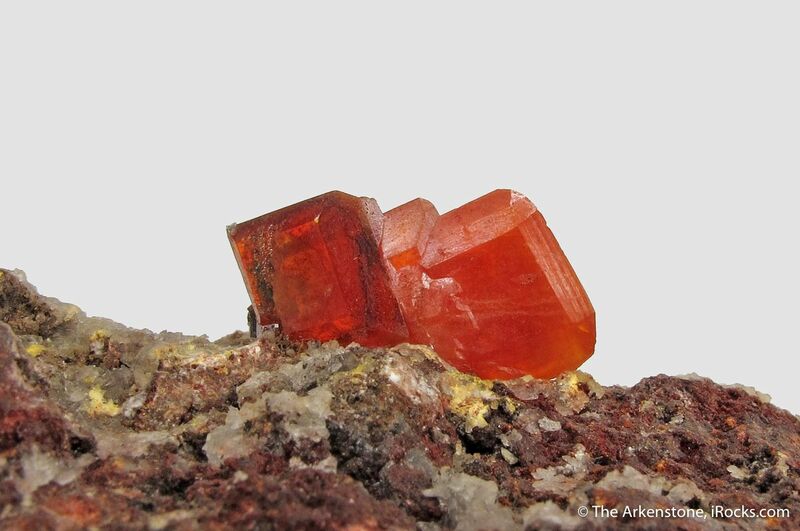 Classic, attractive, and showy Red Cloud Wulfenite from Arizona. 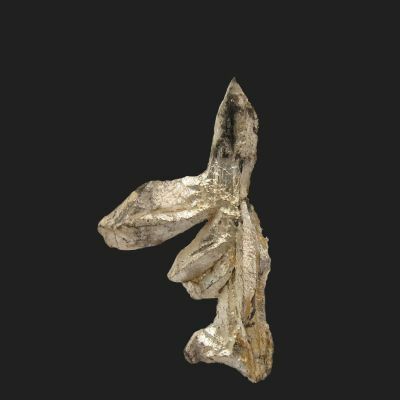 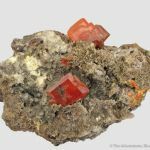 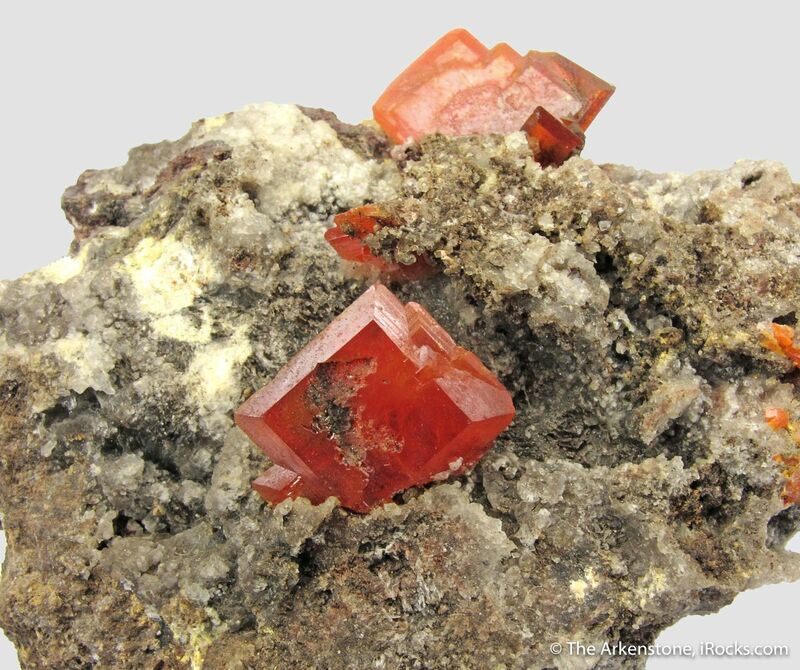 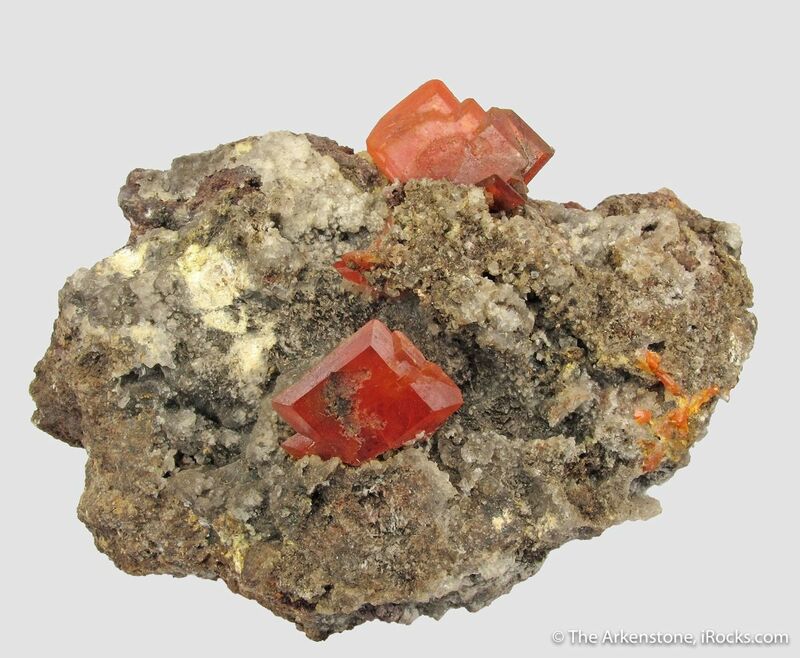 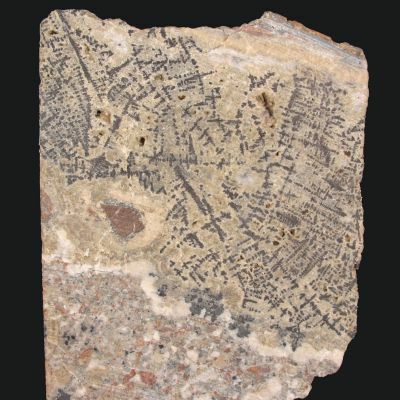 This cabinet specimen consists of two dominant Wulfenites, on hard matrix, that have the well-know tabular habit with beveled edges. 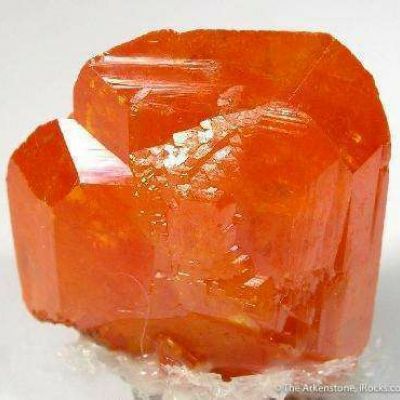 The reddish-orange color is good, as is the translucency. 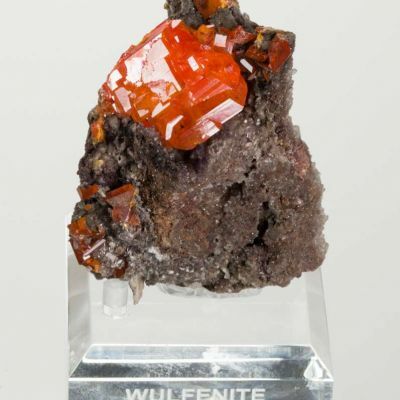 The square Wulfie pictured in front is 1.4 cm on edge, while the upper, complex crystal is 2 cm corner to corner. 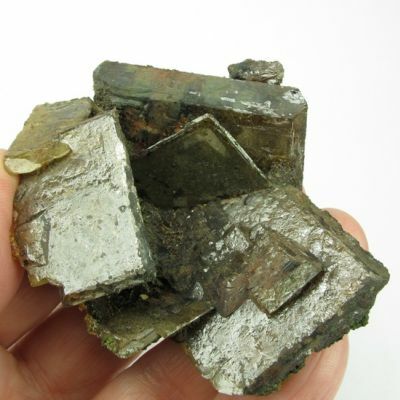 This piece has a Kay Robertson #2194, indicating that it dates from early in her collection, 1950s era. 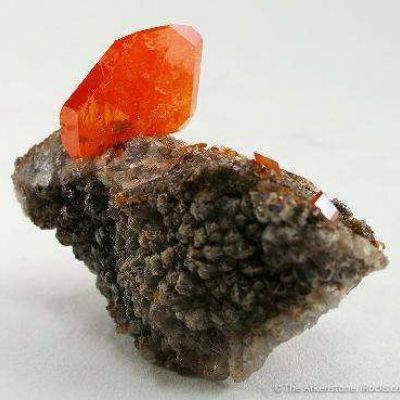 Kudos to whomever mined it, and subsequently owned it, for preserving it so well because it is in excellent condition. 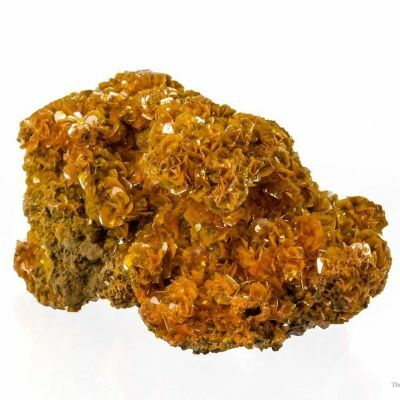 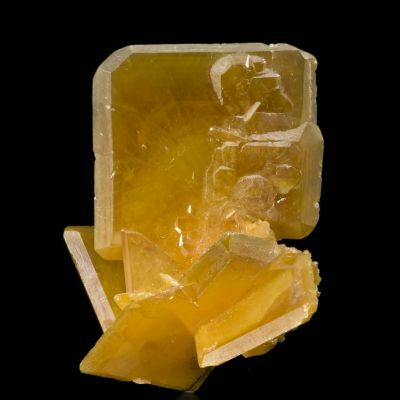 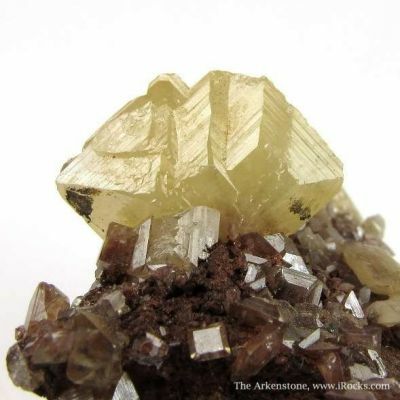 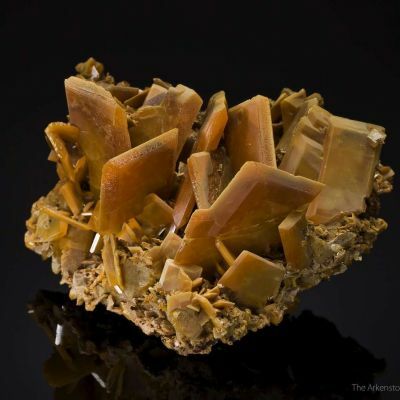 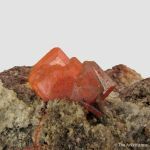 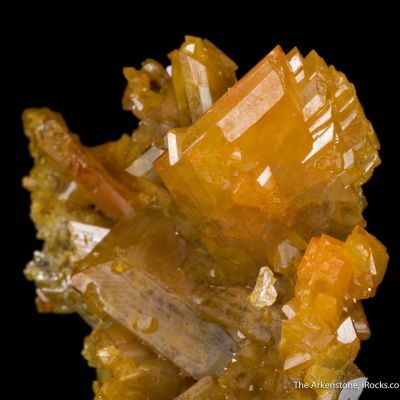 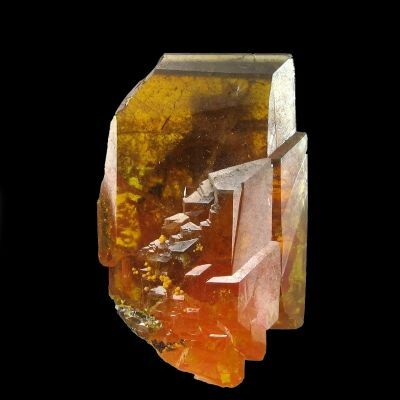 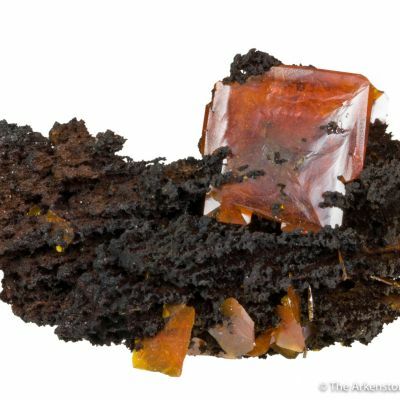 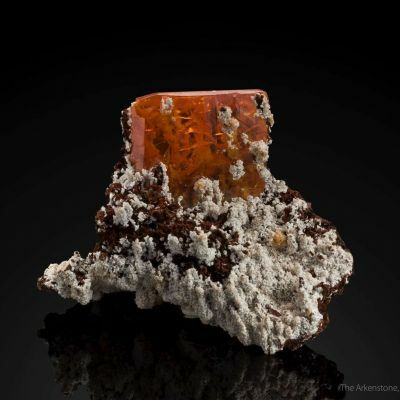 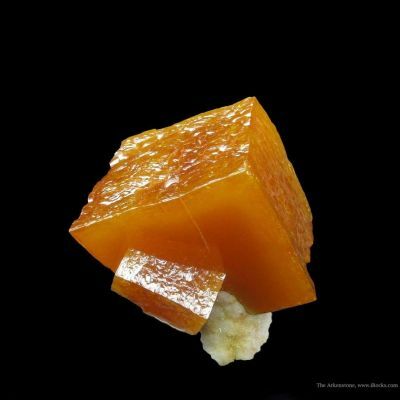 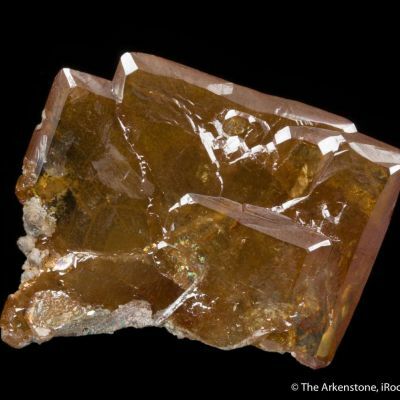 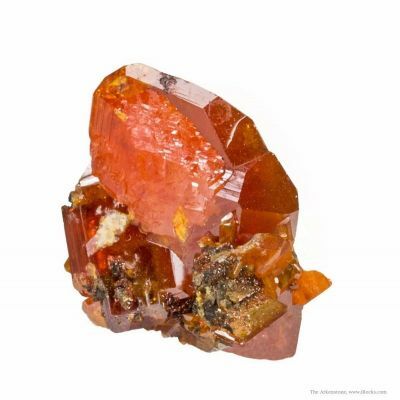 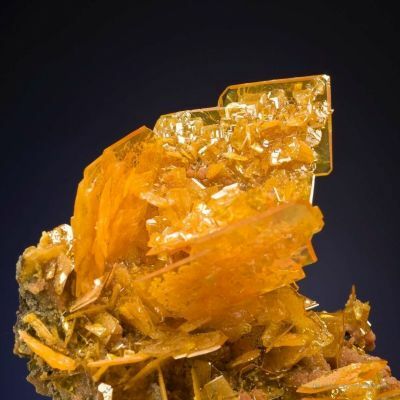 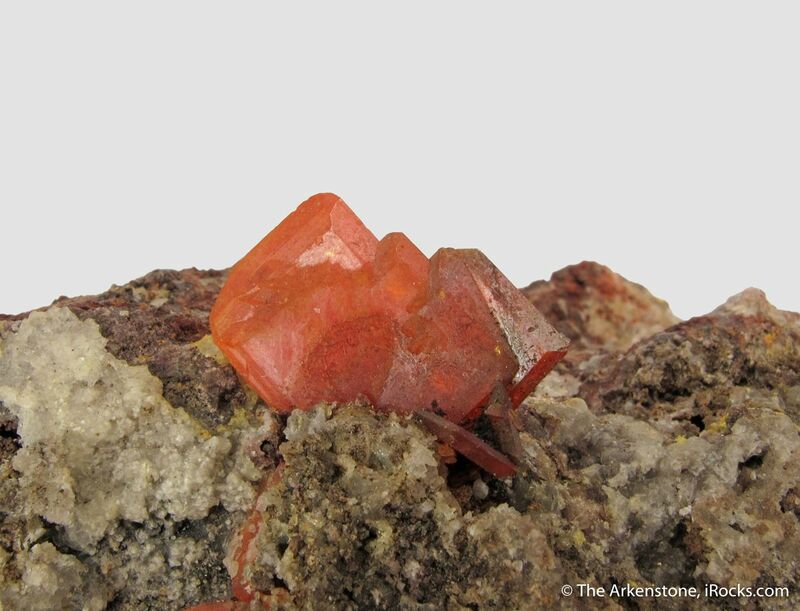 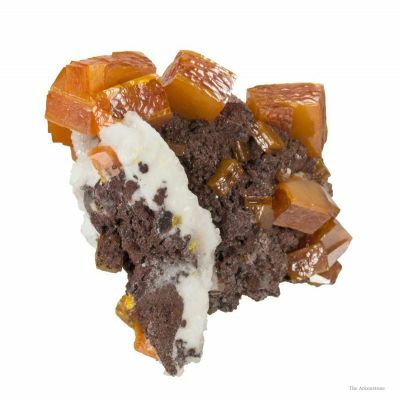 A fine specimen from one of the single most important Wulfenite localities in the Western United States. 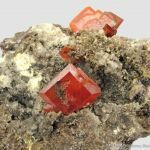 Considering that this locality has been completely buried and never will be mined again, these specimens are commanding a premium nowadays.